Hardman handshakes, pushing colleagues and seemingly not paying attention – welcome to diplomacy Donald Trump-style. The US president was in Brussels for a NATO summit. He was in town to press European countries to commit more money to their defence spending. But that wasn’t all he was pushing, as Montenegro’s prime minister found to his cost. 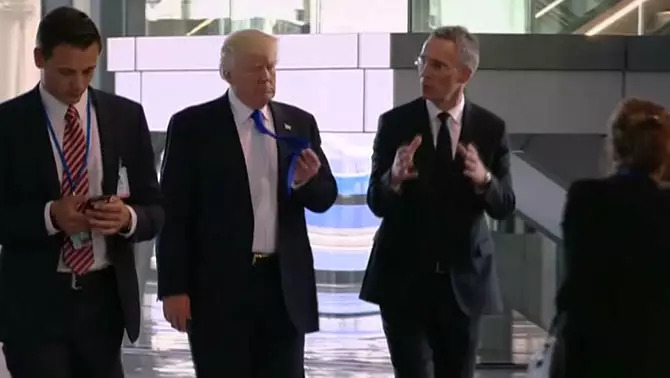 Trump seemed to shove him out of the way in a bid to talk to NATO Secretary General Jens Stoltenberg. 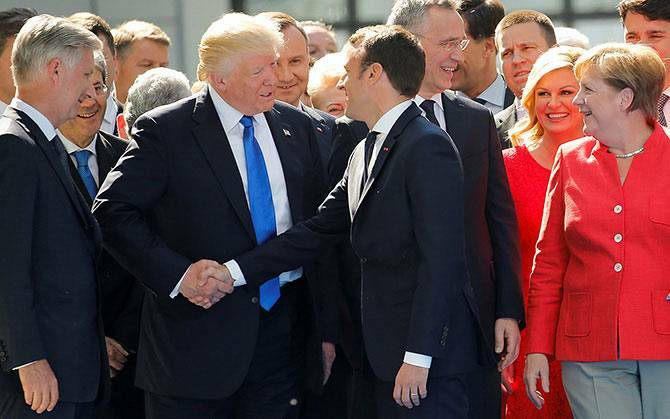 Trump’s famously-forceful handshake was on display again, as this time he looked to dominate new-boy Emmanuel Macron, who seemed to give as good as he got. 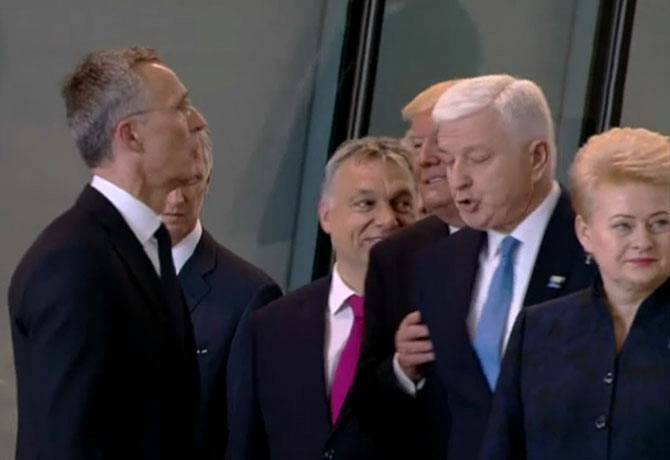 At other points during his time at NATO’s headquarters in Brussels, he seemed to stop paying attention, in particular when he was walking with Stoltenberg. He is seen to look at his tie, before gazing at the ceiling while the pair were involved in an exchange. 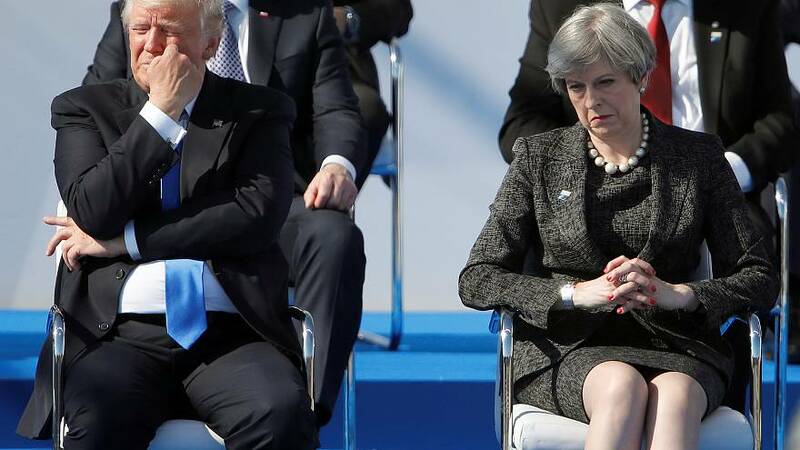 During Trump’s speech, in which he called for European countries to spend more on defence, some leaders were seen to react unfavourably. 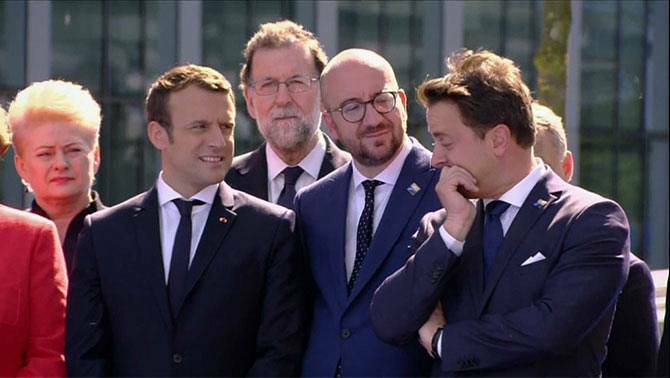 Luxembourg prime minister Xavier Bettel turned away to seemingly show his displeasure to his Belgian counterpart Charles Michel and French president Macron. Did Donald Trump push more than US interests at NATO summit?